I conclude that the Soothing & Illuminating Eye Contour Gel from Organi Philippines is the best eye product I have used so far, hands down! For some time, I had been eyeing, with jealously, the Organi Philippines booths you see at a lot of the malls here in the Philippines. I had heard plenty of good things about their eye gel– but I also knew that I would have to save up for it, as it’s really expensive. So, I had to wait a couple of months before I could cough up the cash for this premium skincare product. 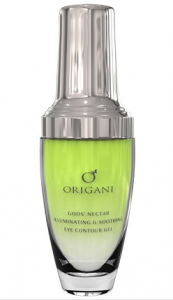 Fast forward to two months later, I finally have the Organi Illuminating & Soothing Eye Contour Gel in my hands – and here I am, writing a beauty product review for it! The reason I have been so eager to buy this eye gel is it’s the only product in the Philippines – at least that I know of, don’t quote me on this! – that contains GemmoDrain. GemmoDrain is a specially developed ingredient that contains pyrus sorbus extract, which is known to tone the blood vessels and improve blood flow. And. as you all know, those puffy, dark circles under the eyes are caused by poor circulation in the area – and GemmoDrain was designed to target that. This eye gel also contains a variety of other powerful substances, including anti-aging and moisturizing ingredients such as rosehip oil, jojoba oil, grapeseed extract, rice bran oil, and my new favorite, babassu oil, which is very similar to coconut oil, only lighter and less fragrant. So, on to the eye gel itself. The bottle is a bit small, but you only need a very tiny amount of the gel. As such, I predict this will last me several months before I have to get a new one. The packaging is nicely heavy, which gives you the feeling you’re really getting what you paid for. It has a little metal pump at the top, which you use to extract the product from the bottle. Tip: Always use your ring finger when applying eye products, as it’s your weakest finger and allows you to more gently apply the product. The gel doesn’t smell like anything in particular, but it does lend a cool, refreshing feeling to the eyes. It’s not even oily, considering the amount of oils that have been infused into the product. I like how it easily absorbs into the skin. 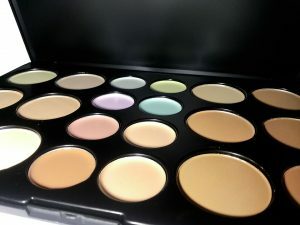 You simply pat it on your eye contour area and it sets almost instantly. Half an hour after applying the eye gel, I could see an instant lift around the eye area, kind of like when you apply refrigerated spoons over your eye bags after a night of no sleep. I could definitely see a reduction in the puffiness! While there were instant results, stick with this a couple of months and you’ll see even more phenomenal results in the long run. After a few months of using this eye gel, I have detected a noticeable decrease in the size of my eye bags. It also brightens up the eye area over time, which, to me, makes it a godsend. 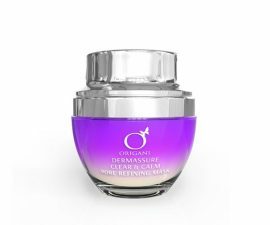 I have searched high and low for something that can help with my raccoon eyes, to no avail – until now! Who knew that the answer was just inside this little glass vial of GemmoDrain and happy skin oils? I’m so satisfied with this product that I have, in fact, happily stopped using concealer for this area of my face. That’s how effective it is! As for fine lines, I can’t really tell since I don’t have those problems. I wager this eye gel is also effective against fine lines, thanks to its mélange of moisturizing oils. I have read other reviewers successfully smoothing out their wrinkles and fine lines with this eye gel. And so, for the verdict and to end this skincare product review, I conclude that the Soothing & Illuminating Eye Contour Gel from Organi Philippines is the best eye product I have used so far, hands down! Now, we have different skin types, lifestyles, and habits, and what works for me may not work for you. But I do believe this product is 100% worth giving a try.